While for some the word Kursk will not ring any bells on what it precisely means, many of us have heard the word over a decade ago. In August 2000, during a Russian military exercise one of the Russian nuclear-powered submarines was the victim of a faulty torpedo, which exploded inside the vessel. Due to this, the submarine stranded at the bottom of the ocean, with only a handful of survivors trapped in a small compartment of the submarine. The Russians did not allow help for approximately six days, which is a very long time to be stranded on the bottom of the ocean for survivors in a leaking submarine. If you don’t know the actual story, we will probably spoil a bit about how those in the submarine eventually ended up. It’s hard to properly portray the story of a historical event, especially when not all the facts of the matter are known. The story revolves around the explosions that occurred on the Kursk in August 2000 and it then alternates between the survivors who barred themselves in the ninth compartment of the Kursk, the families that are left in the dark and the international services that are offering their aid. The movie zooms in on the life of Mikhail Averin (Matthias Schoenaerts), a seemingly fictional character, who is leaving behind his pregnant wife and a young son. It’s mainly all about the handful of survivors and how they cope with being trapped in an underwater coffin. We’ll never truly know what happened with the survivors on the Kursk, so this means a lot of the movie had to be ‘made up’, in order to create a full and appealing story. The flow is rather nice, as you’ll see the difference between the families left at home, the survivors on the ship, and other countries that want to offer their help. Those who know the facts of the Kursk will also know that some portions of the movie are exaggerated, are imagined or simply can’t be right, knowing how long the survivors held out on the sunken vessel. 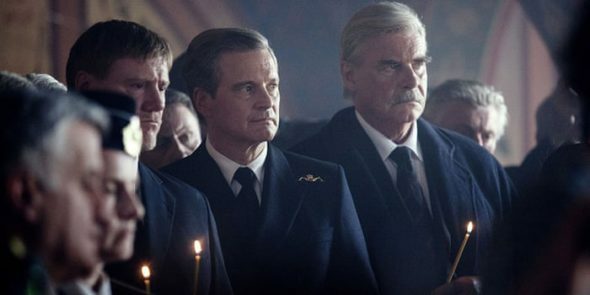 Overall, it’s a great story to be told, and the filmmakers did a great job on portraying how those on the Kursk lived through their final moments. As the movie is a French-Belgian production, it’s only natural to have one of the biggest Belgian rising stars in the lead, namely Matthias Schoenaerts. He does a superb job in playing a Russian ranking officer, who tries to keep the survivors calm and ready for a possible rescue. The supporting crew, outside of Colin Firth, isn’t all that known or famous to many viewers, but they do a great job in bringing the movie to life. It would have been interesting to have an actual Russian cast for this movie, as everything is in English, which is a bit odd and silly at times. There’s roughly ten minutes worth of bonus material to be found on the DVD edition of Kursk, which is pretty much behind the scenes material and some thoughts about the movie. Other than that, there’s the trailer and that’s all there is to the special features. While the movie properly tells the tale of the Kursk, it would have been nice to get some extra facts on the matter. 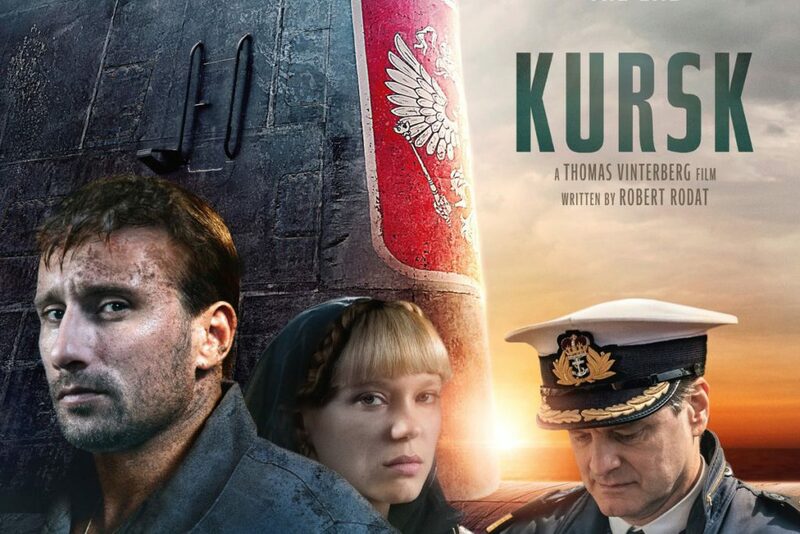 Kursk is a great cinematic experience about what happened in 2000, albeit with a lot of artistic liberty, dramatization and some loosely interpreted facts, making sure this movie would actually be captivating enough for viewers, rather than be a documentary. The movie tugs the right heartstrings and shows how isolated some countries can be about a military operation gone wrong. While we would have loved to see this movie with a Russian cast, the current cast handles their job quite well. If you’re into historical dramas, then this movie will certainly float your boat.